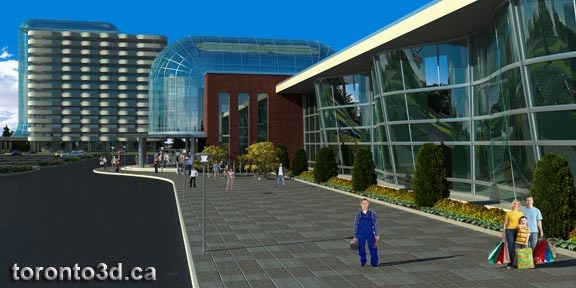 The project involves the reconstruction of the factory premises into the large exhibition center with a new hotel. It was necessary to make an interesting design of the main exhibition building, which clear identifies all entrances. 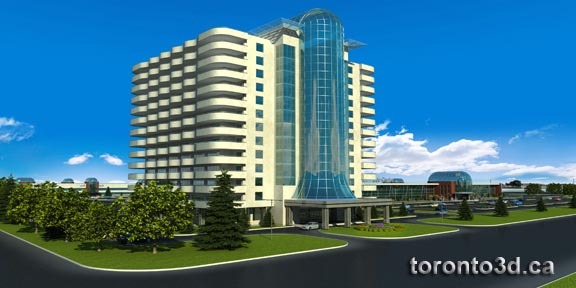 The group of our designers has chosen a Futurism style for this project. The main material is glass. However, there are no ordinary glass windows – arched windows repeats the wave pattern. The facade of the building is characterized by long dynamic lines and motion. 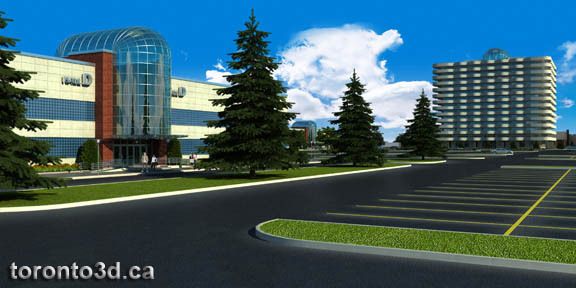 The entrances to the main building and the hotel are made in a shape of a huge glass tube: this element creates a techno-style finish of the entire fairgrounds.